What’s in the BOX!???? 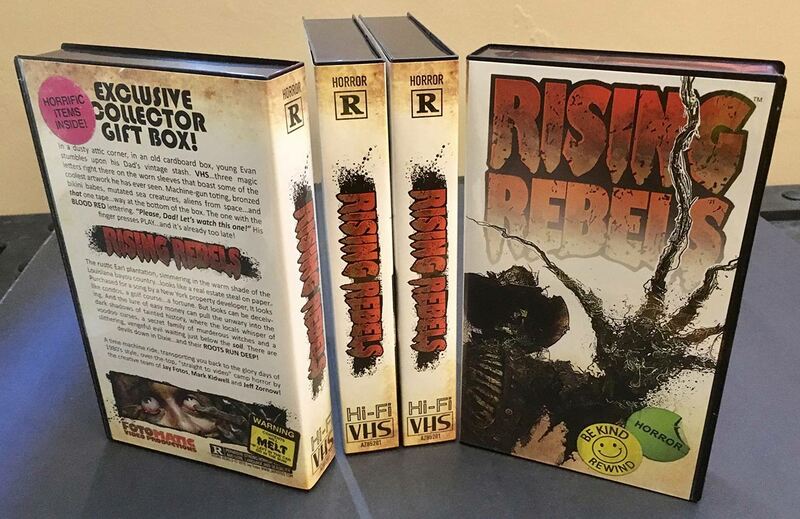 We DARE YOU to open it! 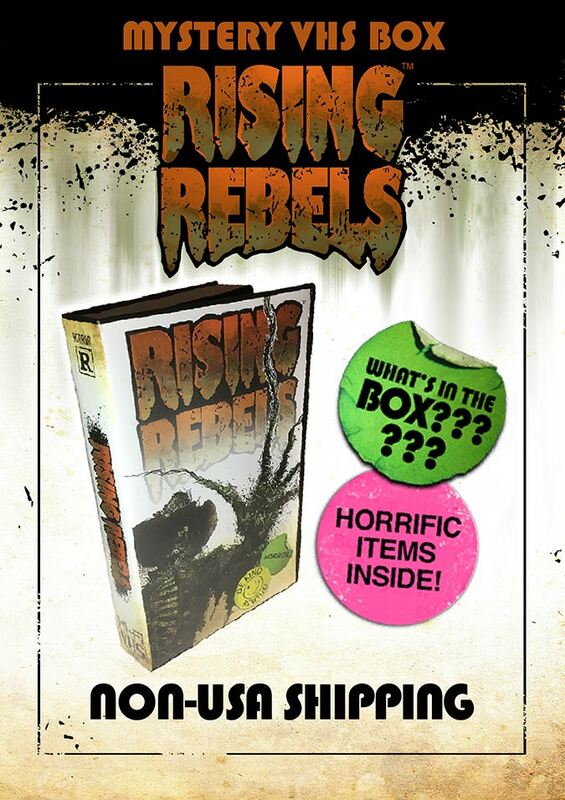 The exclusive RISING REBELS Mystery VHS box(real VHS clamshell box) crammed with over ten surprise items…also ADDED SUPER BONUS items added to random boxes, like signed vintage STAR WARS cards, figures or maybe even a RISING REBEL cursed finger, gross!